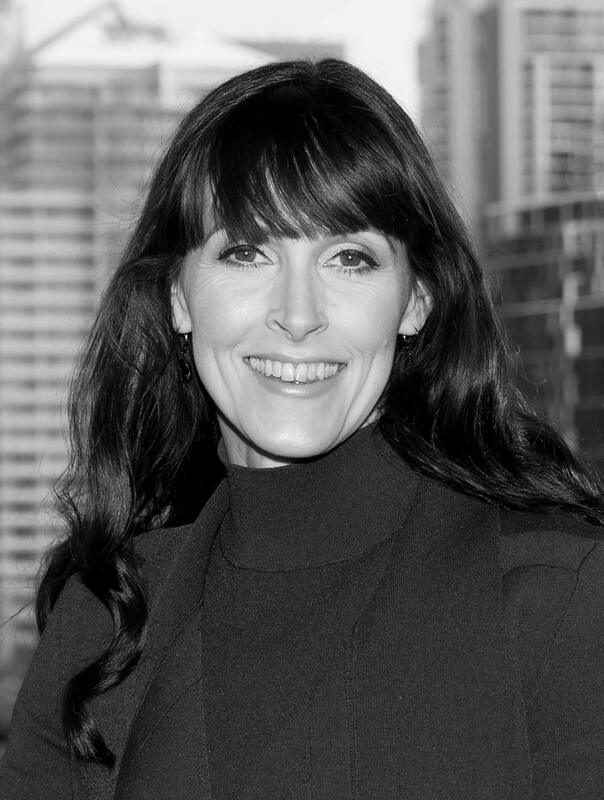 Throughout her career as an entrepreneur, a CEO, company director and consultant, Danielle Duell has worked across a range of industries including education, energy, tourism, arts, water, hospitality, events, construction, farming, conservation, retailing, medical research and corporate governance. Danielle was the co-founder of Riverlife Adventure Centre. She completed an MBA at QUT in 2009 with concentrations in Strategy and Entrepreneurship and won a scholarship to Harvard Business School to participate in the Women's Leadership Forum - Innovation Strategies for a Changing World in 2011. From 2010-2014 Danielle worked as the inaugural CEO of Graham (Skroo) Turner’s diverse portfolio of private companies including luxury accommodation group – Spicers Retreats, a collection of award winning restaurants, several day spas, an outdoor adventure park and a selection of sustainable cattle breeding enterprises and nature refuges. Danielle has held numerous board and committee roles for organisations such as Tourism and Events Queensland and the Queensland Government’s Red Tape Reduction Advisory Council; she currently serves on the Board of the Queensland Music Festival. Danielle is an Adjunct Professor at the University of Queensland Business School. She is also the founder of Australian Harvard Women - a business network and series of events for Australian women who have studied at Harvard Business School. Her primary business role is as founder and CEO of People With Purpose - a company whose purpose is to equip business to improve the world. In this capacity, Danielle and her team work with CEO’s, Executive Teams and Boards to develop and implement purpose-led strategy, transformation, innovation, projects, communications and events. Danielle discusses shifts in the corporate sector, important traits of purpose-led leaders, tools and processes to help leaders turn challenges into opportunities and creating shared value for our communities. [Danielle Duell] - I've always been curious, hardworking and found joy in learning, mastering and connecting. I later learned in Howard Gardner’s book 5 Minds for the Future that I have a synthesising mind. I had no idea what I wanted to do when I finished school, largely because I found joy in almost everything that I applied myself to. I've had an interesting career and that’s a story in itself. I won a scholarship to Harvard in 2011. Whilst I was there I sat in Michael Porter’s office until he had time to meet me. I'd been quite influenced by his corporate strategy work while I did my MBA. Later that year he published a paper with Mark Kramer called Creating Shared Value. It deeply resonated with me. The idea that business can create economic value in ways that also create value for society was something that I passionately believed in and had tried to exercise throughout my career but finally someone had put it into words. When I Created People With Purpose in 2014, I asked myself, 'how do I best apply my time and talents over the next decades to create meaningful impact?' I have a quote in my office that says, 'how can I serve the most people?' and that's top of my mind. I asked myself, 'who has the resources to solve the world’s problems? Is it government? Is it the NFP industry? Is it individuals?' Of course, all of those parties can make some difference but I realised that business is the most powerful lever. That's where I wanted to apply my talents and time. Hence the purpose of my business; to equip business to improve the world. The article was inspired by some purpose-led strategy and transformation work we were doing with an energy wholesaler. We’d been working with the Executive team for a few months and were ready to share our progress with the board. Part of that work involved helping the organisation develop a purpose. Previously they’d only had a mission statement that in brief terms pretty much said, 'maximise shareholder returns and make sure no one gets hurt.' Their Chairman challenged me in the board meeting about the difference between mission and purpose and why it mattered. It’s true many organisations use the terms interchangeably, but we define purpose as being a statement that describes why the organisation exists. Whereas a mission is a statement that describes what we do for whom and how. The other term that people often use interchangeably with either mission or purpose is vision. They're not the same thing. In our opinion a vision is a picture in words of what fulfilling your organisational purpose looks like that can capture the imaginations of your various stakeholders. The senior executives and boards that we work with are concerned about the threat of declining market share, they're concerned about the examples of disruption that they're seeing around themselves. They’re overwhelmed by the volume of opportunities and technologies and trying to make sense of which ones are relevant in their business. They’re also aware that they're no longer necessarily the smartest people in the room. Now corporate leaders need to be good at harnessing the contributions of the smartest people and the smartest data in the room and outside of the room. They have to find new ways to collaborate and create, they want to increase employee engagement, they want to attract and retain the best talent. They’re afraid of failing and becoming irrelevant, they want more certainty and they’re under a lot of pressure. They’re thinking about legacy. They’re inspired by younger people creating positive social change. They want to be one of the good guys and girls and they’re looking for ways to make an impact. Ernst and Young put together a paper a while ago called, 'The Business Case For Purpose.' Interestingly, they found that as many as 90% of leaders recognise the benefits of purpose in business, including increasing employee engagement, customer loyalty and an organisation’s ability to transform. However, what was really interesting was that only 46% of those executives said that their purpose actually informs their strategy and operations. There's a huge knowing-doing gap. That's what we do in our business, we help them to bridge that gap. There's a lot of drivers for change. Their future workforce and future customers are dictating it for them in the brands that they choose to support or boycott. In some cases, their children are dictating it to them. I was fortunate to attend the Global Shared Value Leadership Summit in New York earlier this year with Michael Porter and Mark Kramer. It was made very clear that shared value is a competitive strategy – it’s capitalism done well. Having a social purpose is not an excuse to be inefficient. It’s about doing capitalism better. We try to help leaders understand that it’s not a contest between social value and business value; it’s a synergy. It’s great to see examples of businesses thriving using this approach - Nestle, Novo Nordisk, Chevron, Cemex, Enel. In Australia, companies like IAG, National Australia Bank, NRMA are leading the way. It’s great to have case studies of big companies like Unilever reporting that their sustainable brands are growing at twice the rate of the rest of their portfolio and delivering more than half their growth. So in summary we can shift corporate mindsets by sharing success stories, by helping leaders tap into their own personal purpose and what drives that for them. Fear is also a powerful motivator that drives behaviour too. I like the quote that if you're a leader, you have to have followers. The purpose of the QMF is to transform lives and communities through music. One of our clients, the President of Creative Leaps International, John Cimino Jr says it well, "the interplay of perception and belief is a tricky proposition. The arts are built to help us to see differently, to refresh, sharpen and expand our capacity for new perceptions and creative, new sense making. The best leaders do this too, not necessarily by drawing pictures for us, but by helping us to see what no one else sees yet, to see differently and to shed our beliefs that may be blinding us to the future." Lots of things have influenced my thinking over the years. We always like to start with the purpose and why an organisation exists and we've built some IP around what makes a good organisational purpose. But we start one step before that around value creation. We've built a Value Creation Matrix which answers how do we create value and for whom, and how might we create value and for whom. Essentially it's a stakeholder mapping exercise with a value creation focus. Fear can be a really powerful motivator so we've built a framework around Revenue Resilience to help organisations protect or grow their revenue streams whilst they're simultaneously under threat. That exercise helps organisations identify threats to their revenue streams and proactively design around those. We have a model around Innovation Latency which identifies where in the innovation process organisations are losing time, speed or capacity. I'm quite a fan of Susan Scott's work on Fierce Conversations. You can have the best strategy, but if you don't have robust and respectful conversations happening in organisations it can all fall down. Finally keep an eye out for a book I am working on with one of my colleagues which we expect to release next year on Purpose-led strategy and innovation. You can contact Danielle on LinkedIn, Twitter or Facebook. Please feel free to leave comments below. Find other articles about purpose-led people.